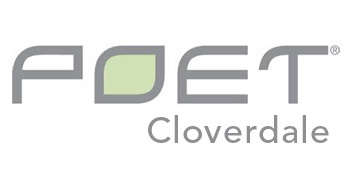 At POET Cloverdale we are constantly coming up with more unique and innovative contracting options for our producers. Our latest addition is the POET Average Pricing Program; as described below. · Establish basis anytime up to delivery. In the last 5 years, we have lost most of the predictability of the market. In 2011 and 2012, selling $5.00 harvest corn would have you marketing at the low of the year while in 2010 and 2014, selling $5.00 corn was brilliant. 1. Evenly market your crop over several months with a single contract. 2. Takes the emotion out of grain marketing decisions. 3. Reduces the need to try to time and predict the forward market. 4. You never have to worry about potentially selling everything at the market’s bottom. 5. Low cost; cheaper than DP. 1. You will not sell everything at the market high….but how often does that happen anyway? In recent years with ample supply, the new crop market still moved over $1.50. Timing of the highs varied anywhere from February to September. Average pricing ensures you wouldn’t have missed out on the entire $1.50 by keeping emotions out of the way of getting corn marketed. In nearby years with abundant corn, the old crop market still moved around $.90 between January and April. Timing of the highs were anywhere from the first of January to the end of April. Average pricing keeps you from missing out on the entire $.90 range by selling too soon or waiting too long. In a carry market, pricing forward months at better prices than the nearby month, just makes good sense.